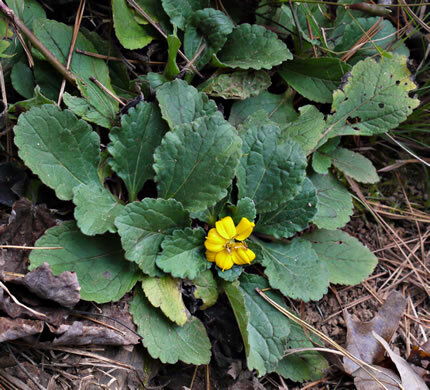 Guide to the Wildflowers of SC p187? 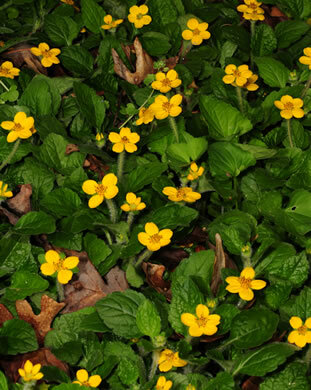 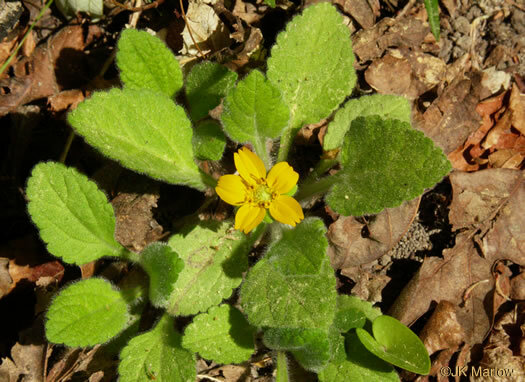 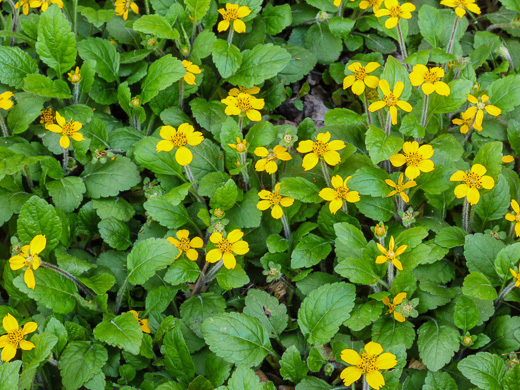 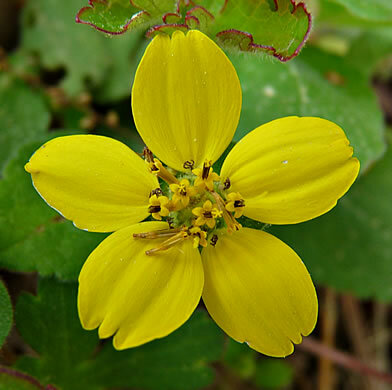 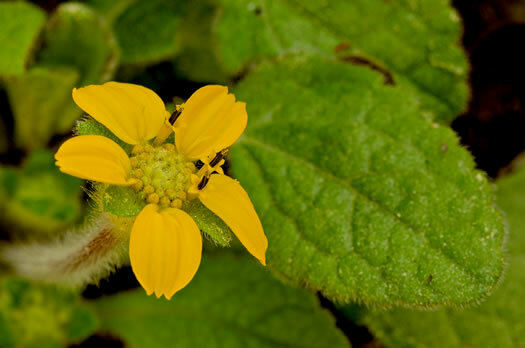 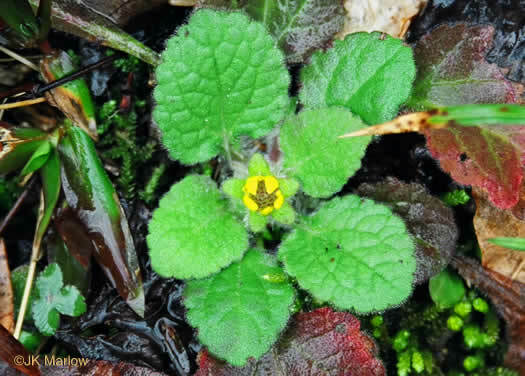 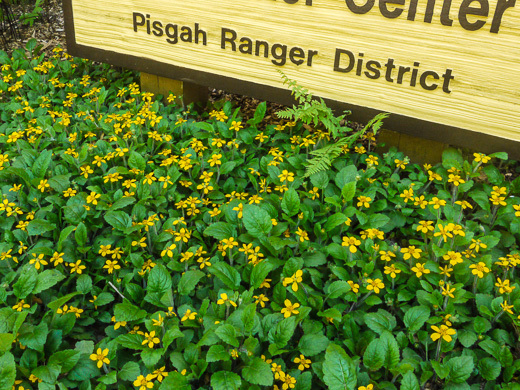 Flowers have 5 broad, fertile yellow rays up to 1/2" long, per Wildflowers of the Southern Mountains. 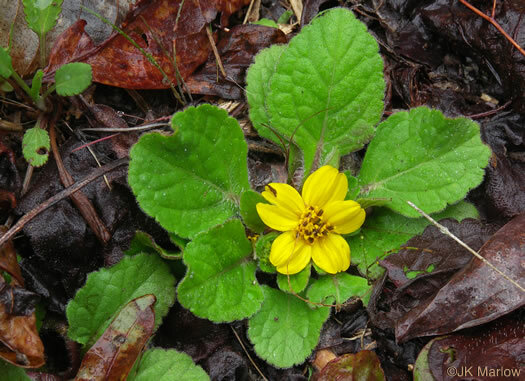 The 25-50 disc florets are functionally staminate, per Flora of North America. 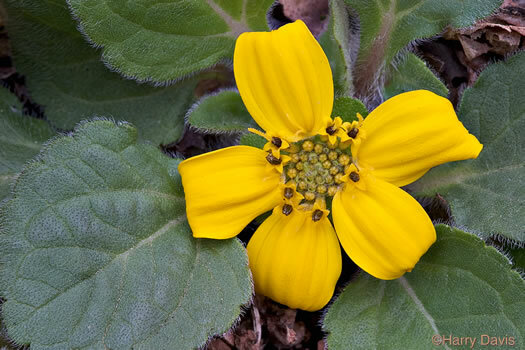 It begins to bloom early in the Spring before foliage attains full size, per Wildflowers of the Southern Mountains. 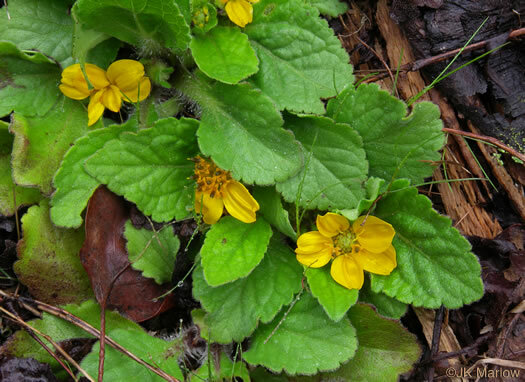 The hairy leaves are long-petioled, with ovate, scalloped blades, per Wildflowers of the Southern Mountains. 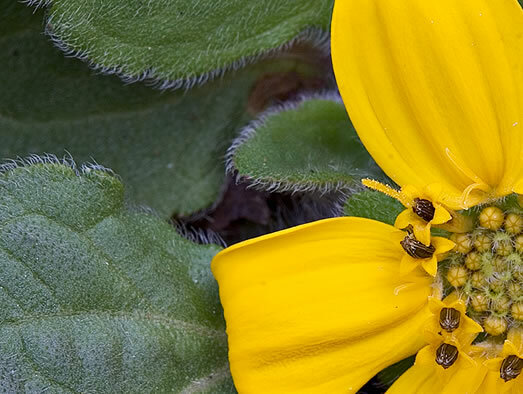 Laminae [blades] of the rays broadly elliptic, with 3-toothed apices, per Flora of North America. 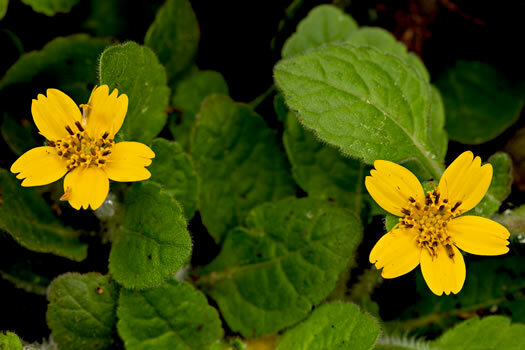 Varieties brevistolon and australe are colonial, forming mats by stolons, per Weakley's Flora.